A third item for my Kiwi readers. 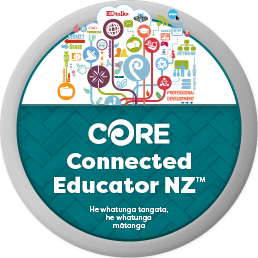 Stay connected in education with Connected Educator NZ. As this term draws to a close, it’s a great time to look at opportunities to connect over the non-contact time. 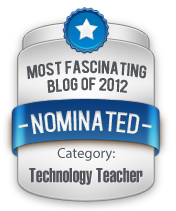 Maybe you can explore some of the videos on Edtalks or catch up on reading over at the CORE Blog? 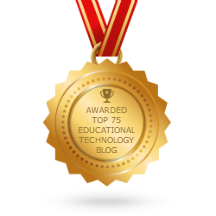 But before you do that, be sure to have a read of this update from the Connected Educator team! Whatever you do, we hope you have a restful break with your whānau. We recommend checking out the Kia Tākatū ā-Matihiko meetups, taking place throughout Aotearoa over the next couple of months. In the calendar you’ll find we also have our first Educamp for 2019, in Hawke’s Bay on 11 May. 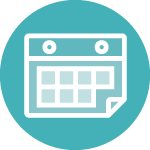 If you have an Educamp planned for your area, please go ahead and add it to our shared calendar. 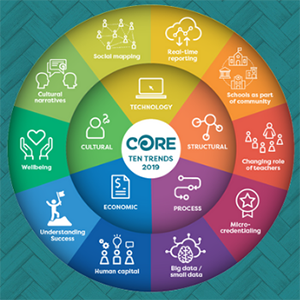 Have you checked out CORE’s Ten Trends for 2019 yet? You can view the trends online or download the full document. Wellbeing is a timely trend to take a look at over the break. 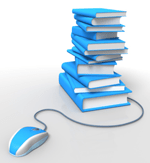 We would love for you to share your thoughts on the trends in the edSpace. Join the Ten Trends groupand head over to the discussion tab. We are excited to have updated our digital badges. Don’t forget to claim these as you advance along your connected educator journey for recognition of your learning. Coming soon are rubrics for you to evidence your micro-credentialing progress. Thanks again for your continued support and engagement. Please feel free to share this update with your friends and colleagues and invite them to sign up for updates. Contact us at any time if you have feedback or questions. Copyright © 2019 Connected Educator, All rights reserved. Would you like the opportunity to grow new ideas? And maybe break some rules? ACCELERATOR is for you! This exciting and immersive experience is designed to speed up change in teaching and learning by activating innovative solutions. Registrations are now open! A two-day event for only $169+gst! Know someone who’d love ACCELERATOR? Keen to participate with a group of colleagues? Share this eFlyer with them. ACCELERATOR activates change and innovation by combining collaboration, speed, and creative abrasion to solve problems that matter. It is a meeting of minds and ideas, where you collaborate to design new and innovative solutions to meet education’s wicked challenges. You will pitch dreams, problems or ideas then form teams to design solutions quickly in a dynamic and high energy environment. Your ideas will be both supported and disrupted as you work with others rapidly to solve the problems of teaching and learning. ACCELERATOR is facilitated and involves mentors from both education and the innovation industry. If you are looking for an opportunity to think big and break rules – ACCELERATOR is for you! Bring your teaching and learning dreams or gripes, wishes or wicked challenges: no matter how big or small. Be quick, places are strictly limited. Are you ready to activate change? Kāore i tua atu i tēnei. Karawhiua! Copyright © 2019 CORE Education, All rights reserved.